A few months ago I shared some lunch ideas that you can make ahead of time. I thought I’d update you with what I’ve made for lunch recently in case you are interested in adding new combos to your rotation. 1. 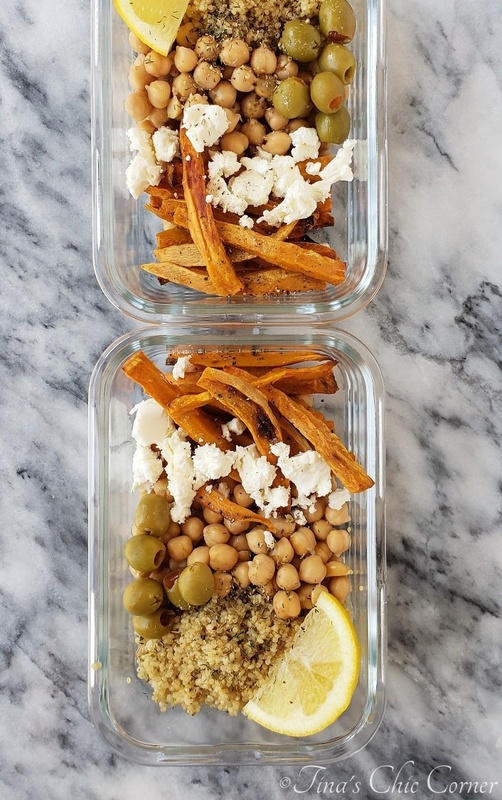 Chickpeas, Quinoa, and Sweet Potato Fries. This lunch is a “clean out your fridge” kinda meal and sometimes those are the best meals. I baked a bunch of sweet potato fries and cooked a big batch of quinoa. Then I added chickpeas, olives, and feta cheese. I basically gathered a bunch of my favorite ingredients so it’s not a surprise that I loved the way that this turned out. I topped it with lemon juice, oregano, dill, salt and pepper. Bam, leftover lunch for the win. 2. 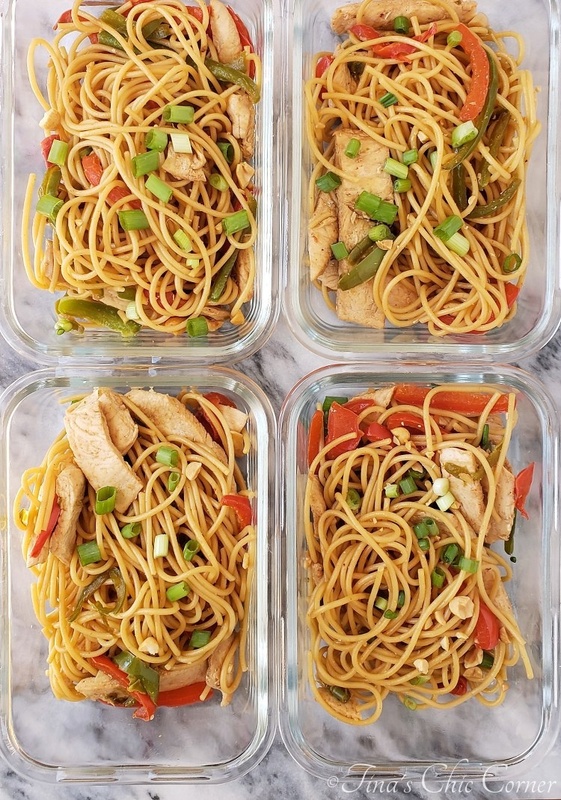 Chicken Lo Mein. This is one of my favorite lunches and that’s saying a lot coming from a gal who isn’t the biggest fan of chicken. To be honest with you, it’s the pasta that makes me want to eat this meal over and over again. You can check out the original blog post for the recipe. 3. 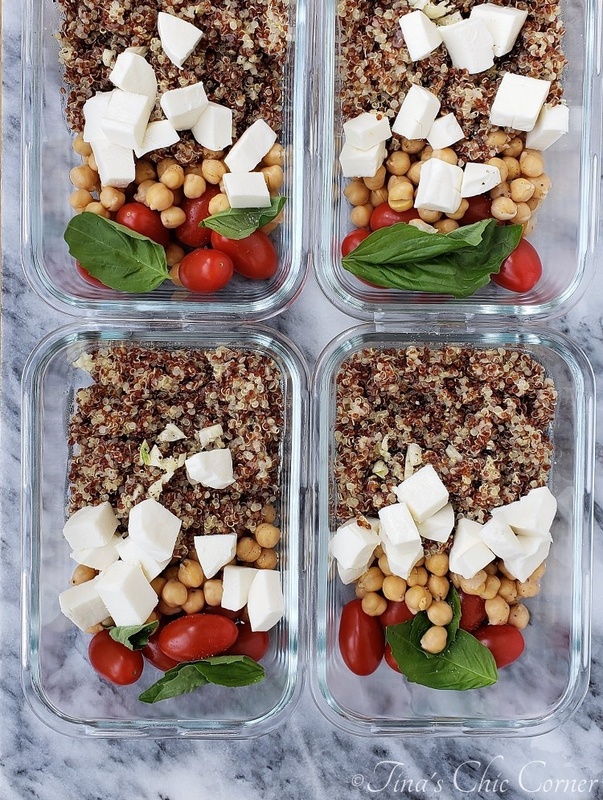 Chickpea Quinoa Caprese Salad. I have made this salad so many times that I’ve lost count. Vegetarian lunches are my wheelhouse, especially when it involves chickpeas and cheese and quinoa. Yum. It’s super easy and quick to make on a Sunday afternoon (especially when you’re trying to enjoy those last few minutes of the weekend). You can check out the original blog post for the recipe. 4. 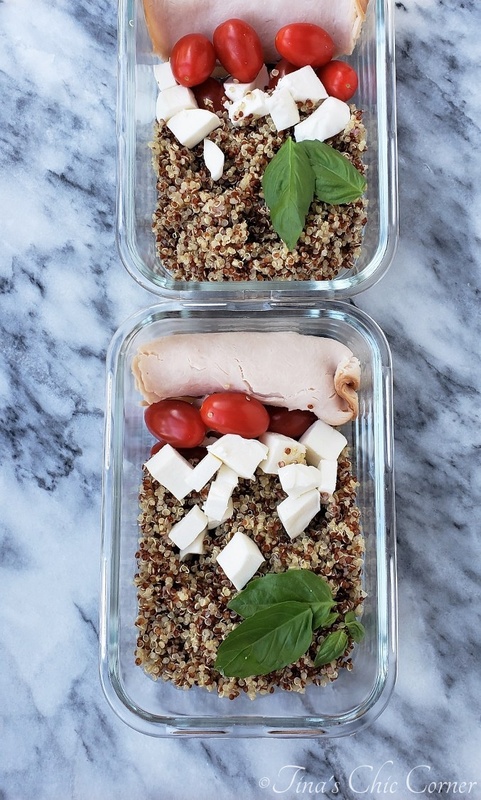 Turkey Quinoa Caprese. This lunch is exactly the same as the one above, except I’ve replaced the chickpeas with deli turkey meat. You only need to swap out one ingredient, and voila, you’ve got a new lunch idea (even if it’s only slightly different).